Old Limestone is bottled in the heart of Kentucky's bourbon country. water master distillers use to make Kentucky bourbons. and aroma nuances of your favorite bourbon. In 2014, Barry and I decided to go back to our bourbon roots. Try it yourself. Pour a bourbon neat, then take a sip. Delicious, of course. Now add a splash of Old Limestone and swirl it around. Take another sip. a classic bourbon and branch, just as Nature intended it to be. decorated box and has free tasting notes inside. small bourbon tastings or as a gift for groups. 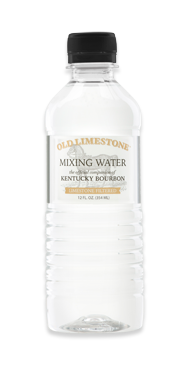 Limestone filtered water makes all the difference in bourbon.